Eric writes: This morning, after filling the feeders, I heard the Blue Jays going crazy. 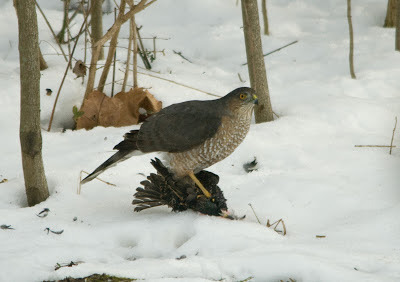 I figured that a hawk had come through but was very surprised to see a Sharp-shinned Hawk on his catch. It turned out that she had caught a European Starling. 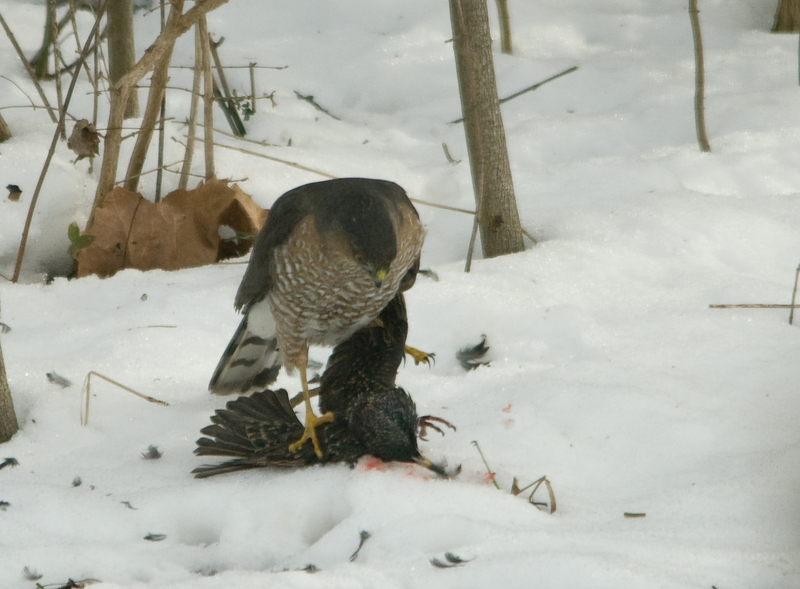 After making sure she had secured her catch, she started plucking the body feathers. Unfortunately, at this point, something startled her and she flew away with her breakfast. 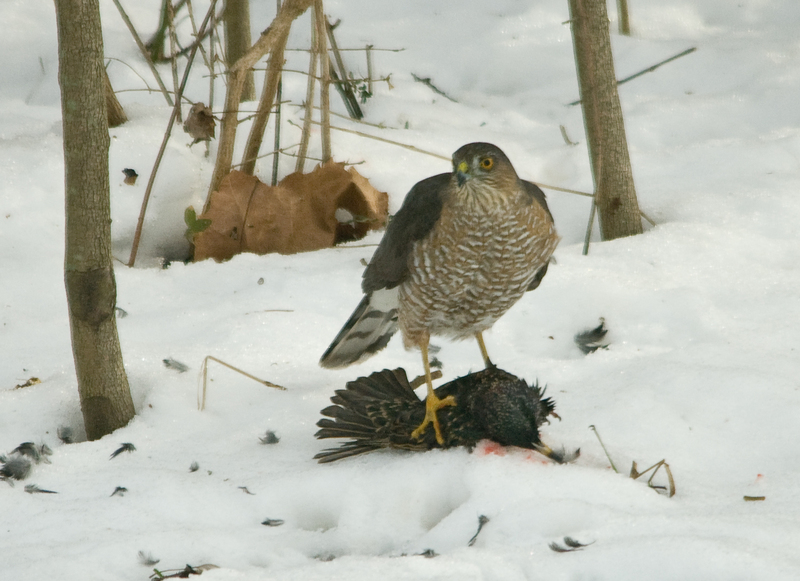 The female Sharp-shinned Hawk after a successful hunt! Please click through the Amazon link for any of your purchases to help keep the Nuttybirder Blog soaring!